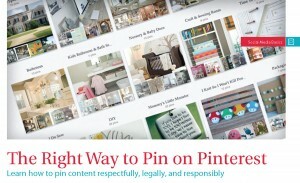 Pinterest – How do all those “Pins” get there! Not too long ago a friend introduced me to Pinterest. The fact that people are sharing information from all over the world is mind boggling, not to mention that most of it is really neat stuff. Setting up my Pinterest account and creating boards for repining proved easy and fun. I must say though, I have wondered how all those Pins get there! Brazos Internet’s quarterly Website Compass magazine answered my questions along with providing information on the three ways to add a pin. Follow this link to learn how to pin content respectfully, legally and responsibly. To learn more about Brazos Internet visit our website at www.brazosnet.com or dial 1.800.687.3222 and we will be happy to answer your questions. To check out the latest issue of The Website Compass magazine click here.